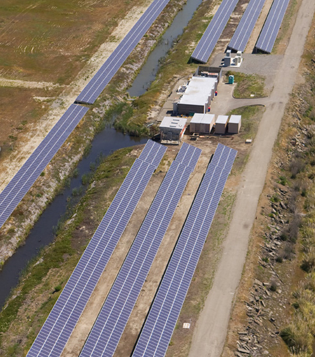 For solar facilities located on an open land, fixed tilt and single axis trackers are attractive options. 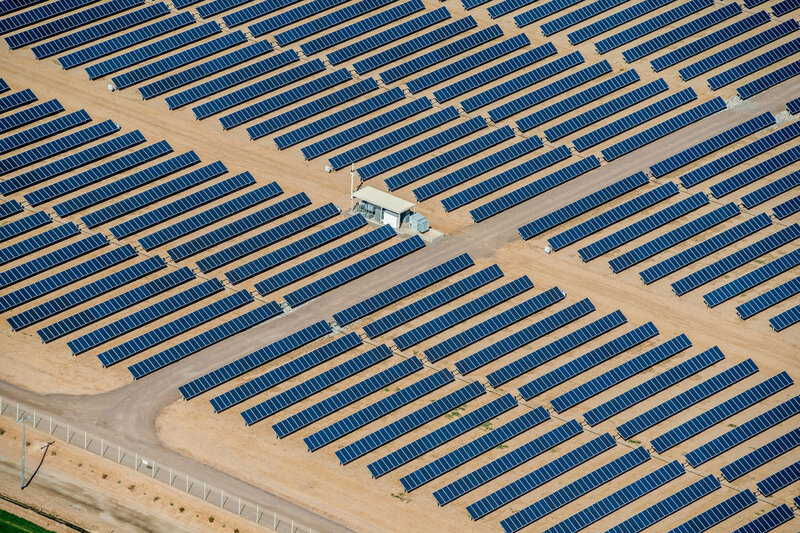 One of the benefits of a fixed tilt solar array is the simplicity. 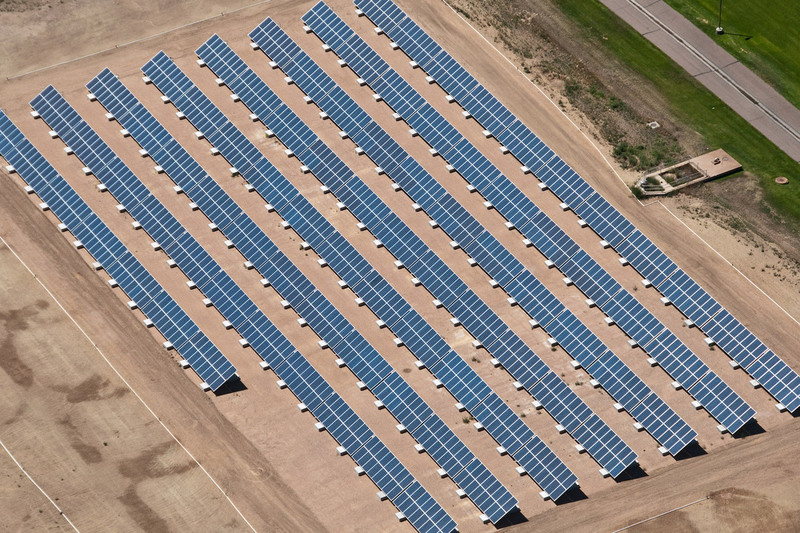 There are few moving parts and a static array is the simplest solar array mounting system possible. A fixed tilt solar array often uses two or more modules in profile. Modules are often mounted in landscape which is perfectly acceptable. The posts or piles deployed are engineered for the site’s soil type and specific geotechnical conditions. 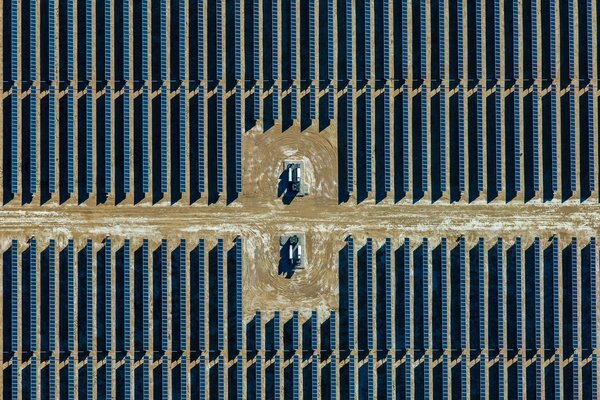 This next photograph is a typical crystalline module on a fixed tilt solar module mounting system. 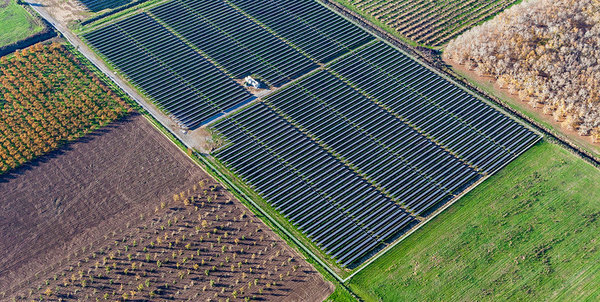 Fixed tilt solar arrays may often be the only solution for locating solar on certain impenetrable soil locations, such as landfills. 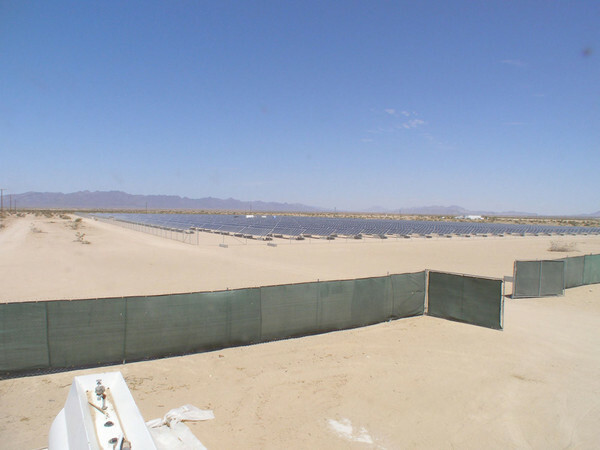 In these types of applications, solar arrays can be placed on above-ground ballasted concrete piers, an elegant solution when handled by a good technical team; that is, one that can balance technical needs with aesthetic and financial requirements. 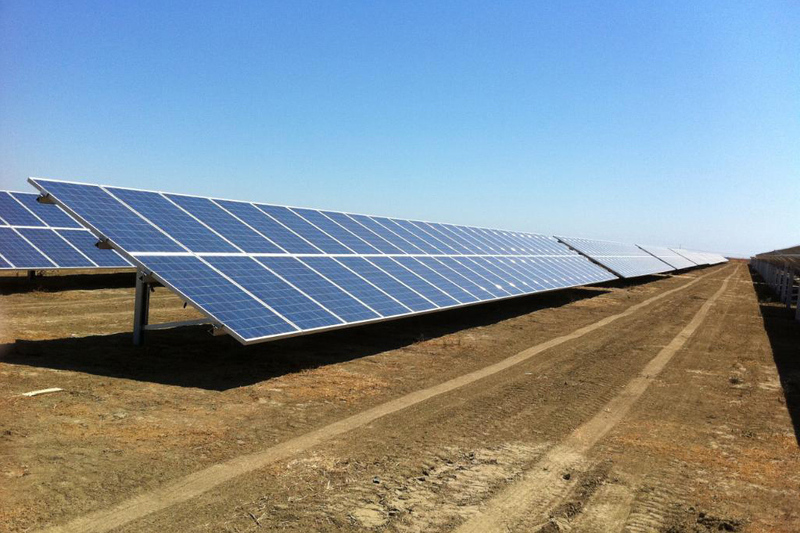 One alternative to fixed tilt solar arrays is the single axis tracker. Its greatest benefit is the approximate 15 to 25% increased energy production that is a result of following the sun throughout the day. A single axis tracker can make sense financially, but these benefits are also dependent on such factors as the site’s latitude and project’s financial structure. 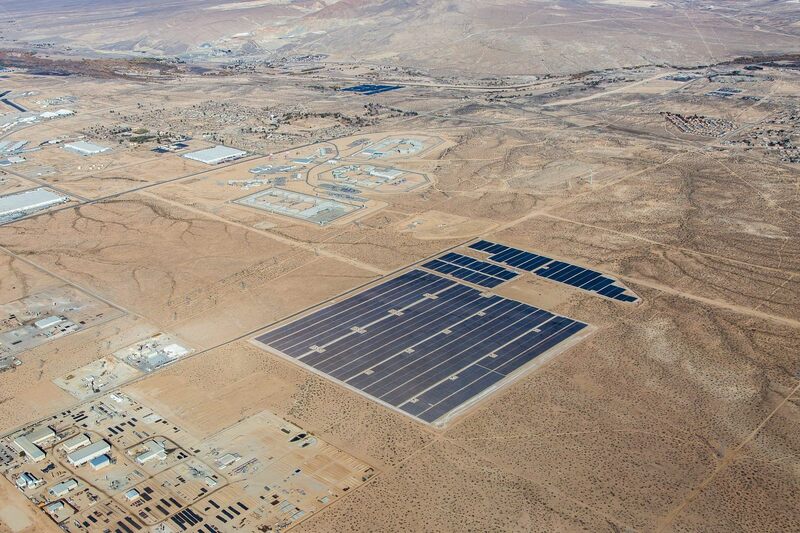 For example, solar projects in California which receive Time-of-Use payments from a utility company are usually compensated handsomely for energy produced during peak demand hours. In this specific example the single axis tracker can be a financially sound investment. Thin film modules are also commonly mounted on single axis tracking systems. 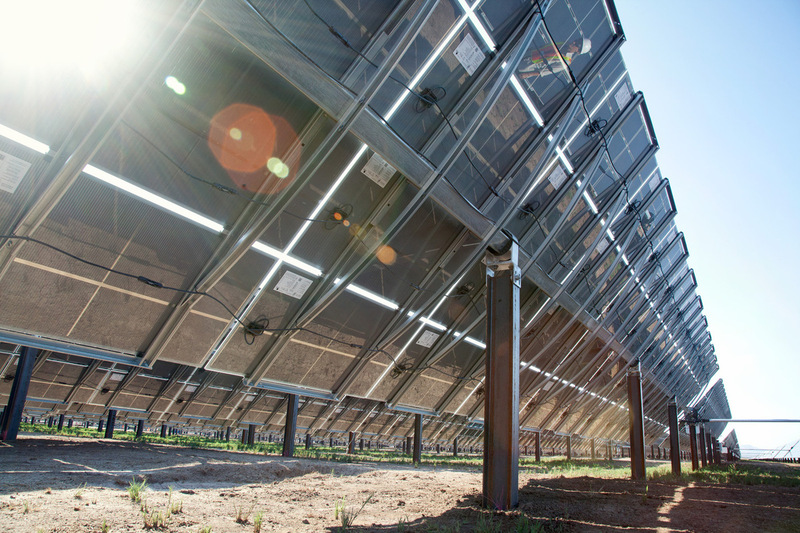 Thin film modules are typically smaller in area than crystalline solar modules. Thus, the modules are mounted on a pair of mounting rails on the tracker system. A single axis tracking solar array requires nearly 20% more land area, due to the moving parts, and additional space to avoid shading the solar modules during peak energy production. Some single axis trackers use a motor on each row of modules while other trackers use a single motor and a mechanical shaft to move many rows of modules. 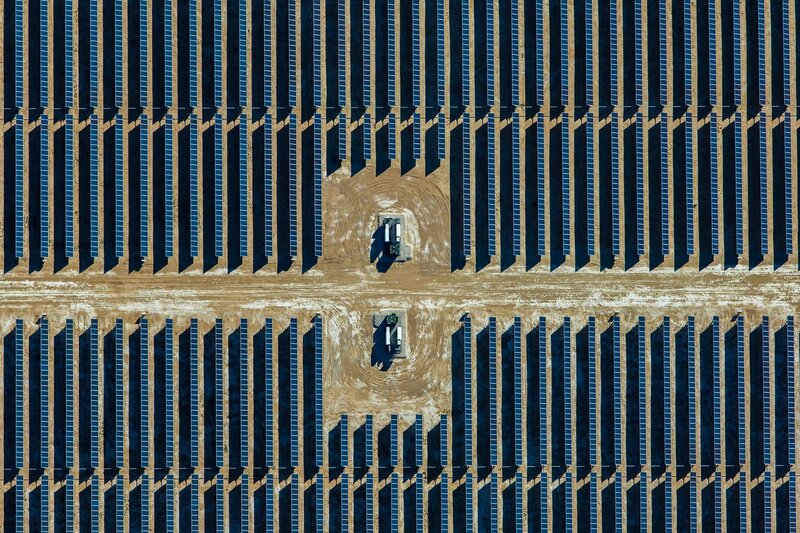 "Photo courtesy of Array Technologies, Inc."
There are different reasons for selecting a fixed tilt or a single axis tracker system, a crystalline module or a thin film module. Economics and engineering are the common denominators which usually help make a clear, informed decision. Blue Oak is well versed in both the technologies and the economics behind these products. Contact us to speak with a qualified application engineer about your specific situation. 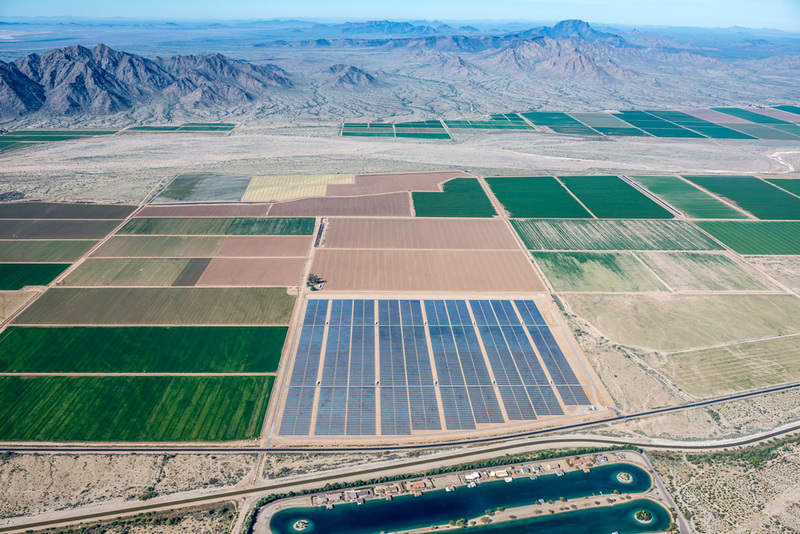 A 36MW ground mount utility-scale solar farm was developed across three distinct parcels. Approximately 28MW is located on the largest parcel, while nearly 8 MW is located on the two combined smaller parcels. This interesting project utilized two DC voltages in the solar array and utilized a variety of equipment across the site to meet the customer’s financial goals. 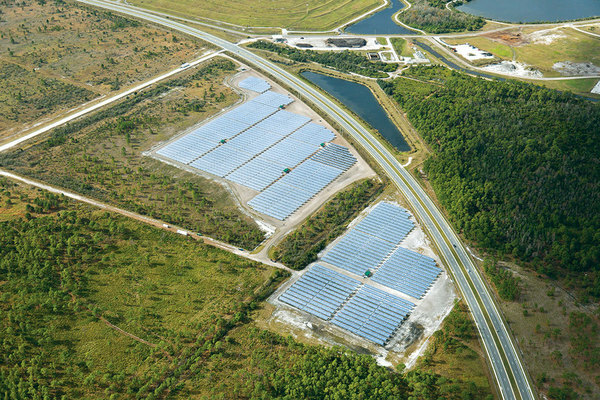 This is the first solar farm in this county, and is located at the Orlando Utility Commission's Curtis H. Stanton Energy Center. 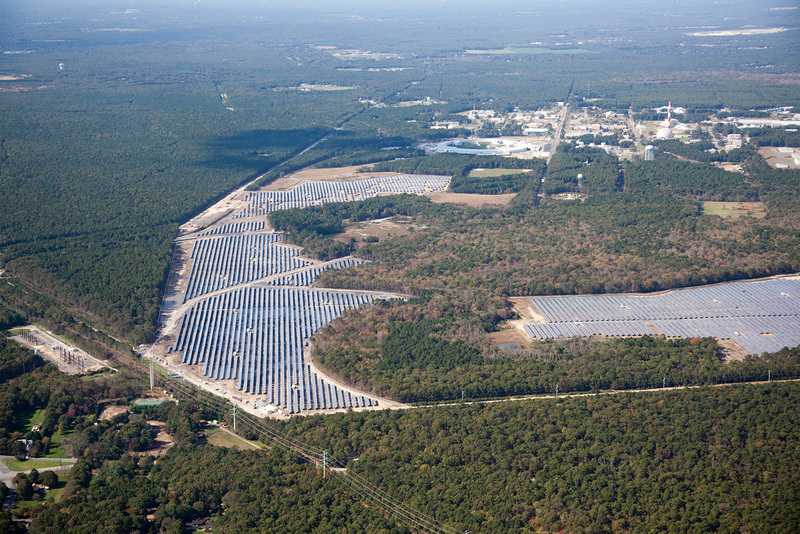 The solar farm contains over 25,000 solar modules, mounted on single-axis trackers prominently visible from Innovation Way. 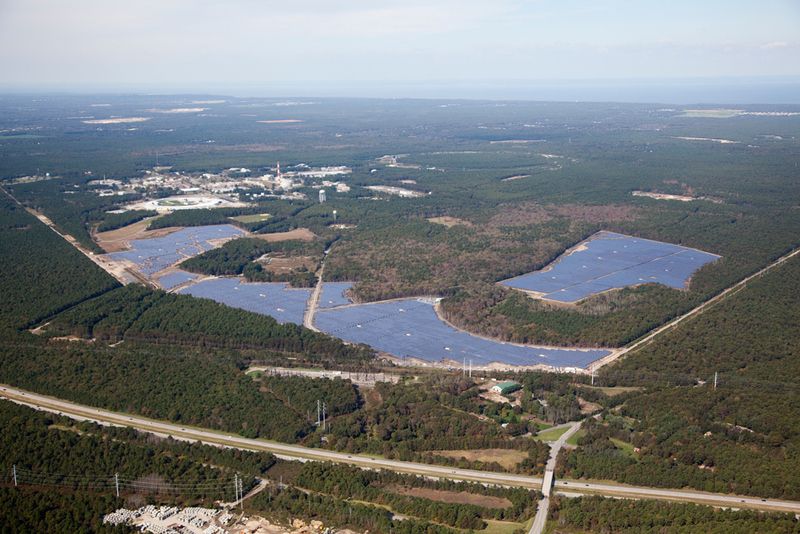 Located on a former manufactured gas storage facility, this system now offsets the emissions produced in generating electricity for 200 homes. 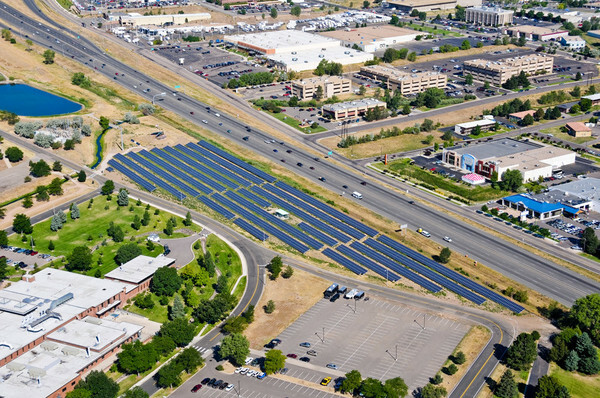 A unique design component was utilizing the eastward slope of the available land to maximize the PV system size. 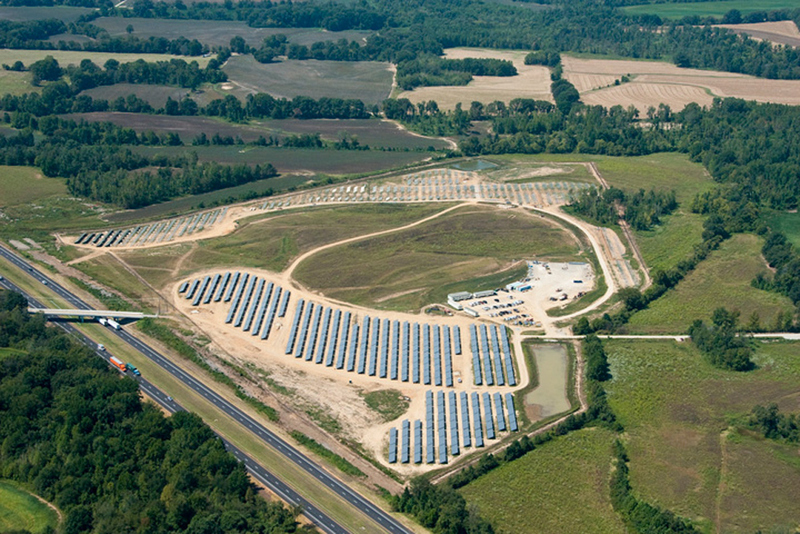 The 25-acre farm is the largest solar generation facility in the state of Tennessee and still one of the largest in the country. This material is based upon work supported by the Department of Energy under Award Number DE-EE0000160. Funding Source: CDFA 81.041. 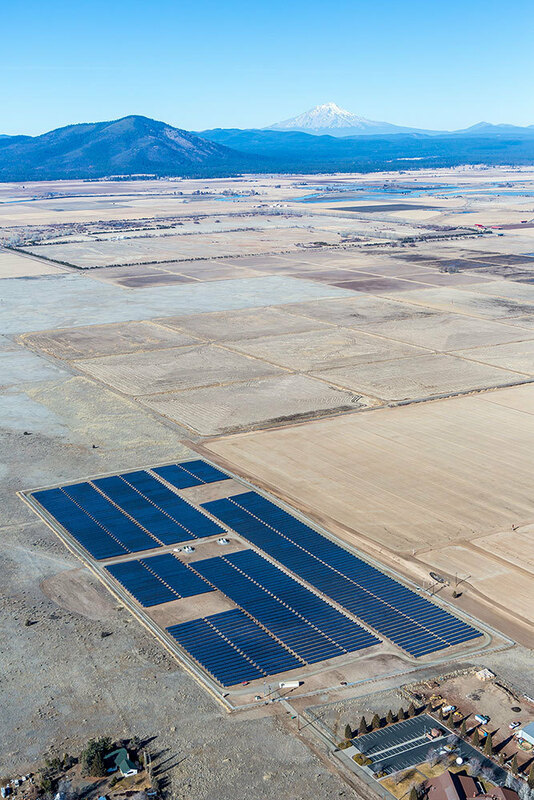 The 15-MW project is part of PG&E's 250-MW Utility Owned Generation (UOG) PV Program. 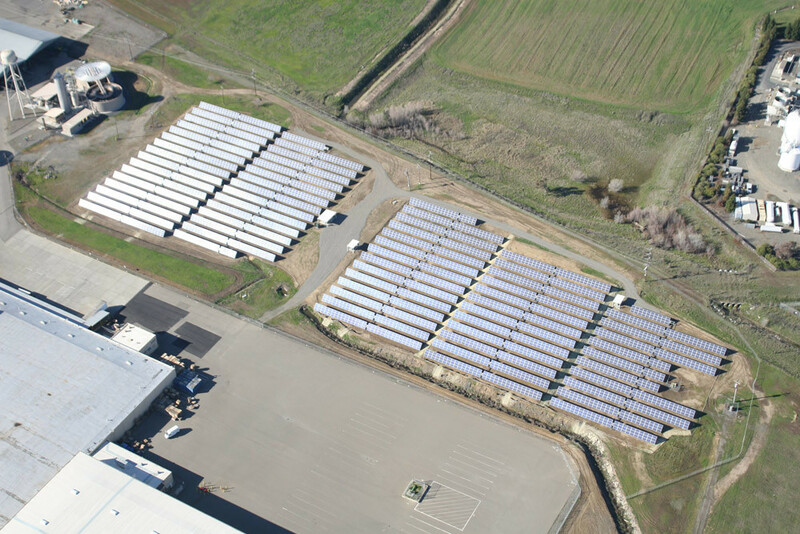 Blue Oak Energy engineers employed the SOLON standard block sizing and innovative wire management to maintain a low cost, high efficiency installation. 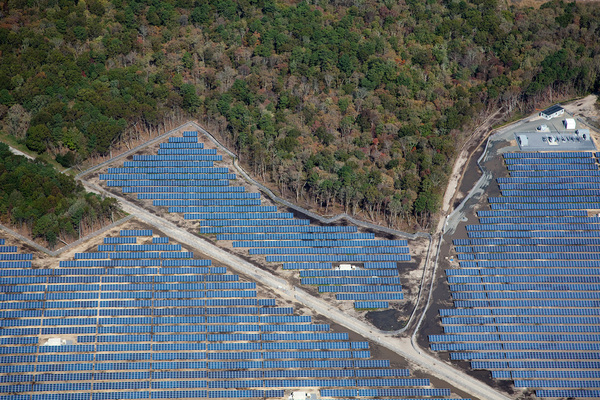 Located at Brookhaven National Labs, the 37MW and 190 acre Long Island Solar Farm will feed power directly into the Long Island Power Authority (LIPA) utility grid. This system will power local businesses, neighborhoods and cities; in addition to helping LIPA meet its commitment for renewable energy production. 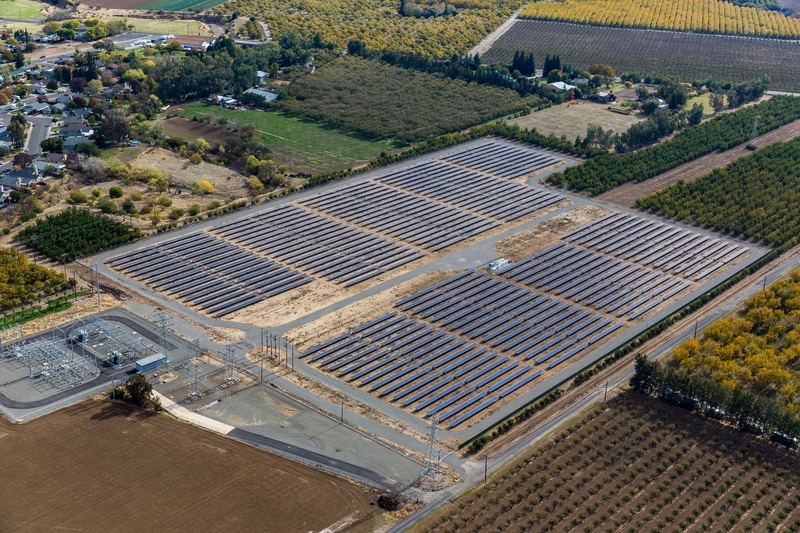 Blue Oak provided the full scope Civil and Structural and Electrical Engineering for the long-term system investor and owner. Our scope also included preparing the Storm Water Pollution Prevention Plan (SWPPP) and Dust Control plans and negotiating for the final construction permits. Our services also included assistance with bidding the project out for construction and providing construction phase engineering support to assist an aggressive commercial operation schedule. 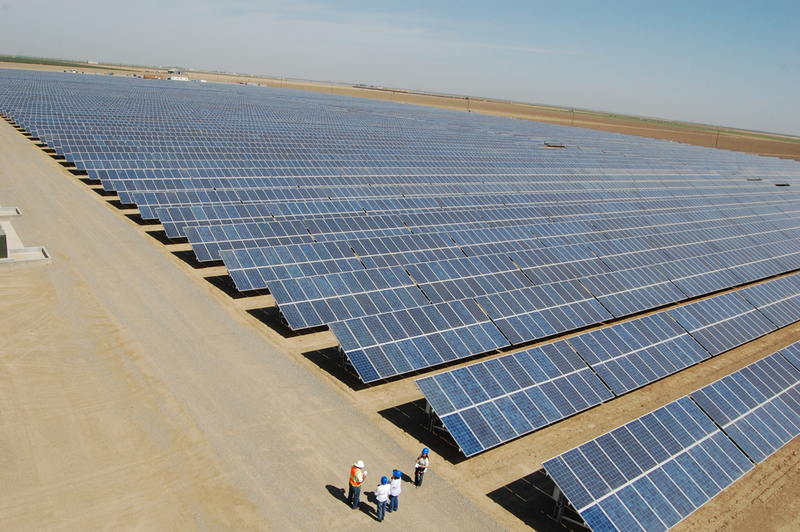 Blue Oak Energy delivered the Electrical, Civil, and Structural Engineering while also designing in dynamic power curtailment and power factor control capability to meet APS standards for future grid functionality. 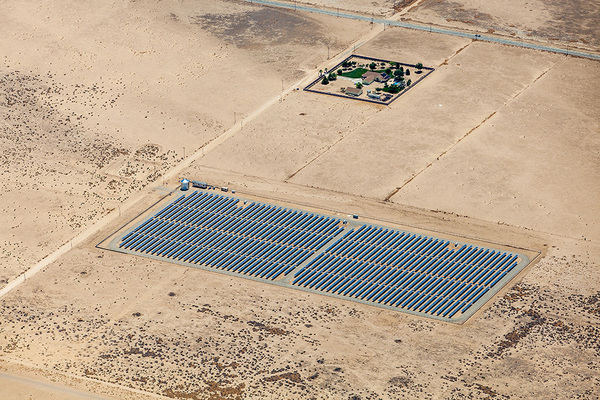 The Gillespie Solar Generating Facility tracking system utilizes an inverter plant controller capable of curtailing the 16MWac inverter system to 15MWac per utility requirements, while also maximizing the plant output during low-production times to maximize client ROI and energy production to APS. The Cascade Solar project is located north of Joshua Tree National Park in unincorporated San Bernardino County, California. Blue Oak Energy was hired to complete the full civil, structural, and electrical engineering, and manage the grading and building permit approval process. 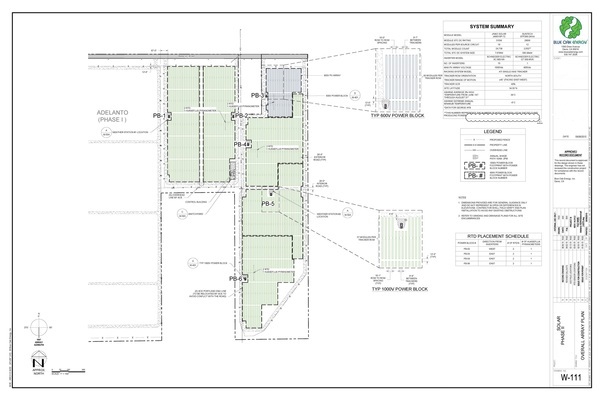 We coordinated very closely with the county planning and permitting offices to ensure the project met the county requirements while expediting the permit communications to achieve project commercial operation on schedule. This utility scale solar facility is constructed in a 100 year FEMA floodplain and therefore required some special design considerations from our civil, structural and electrical engineering staff. 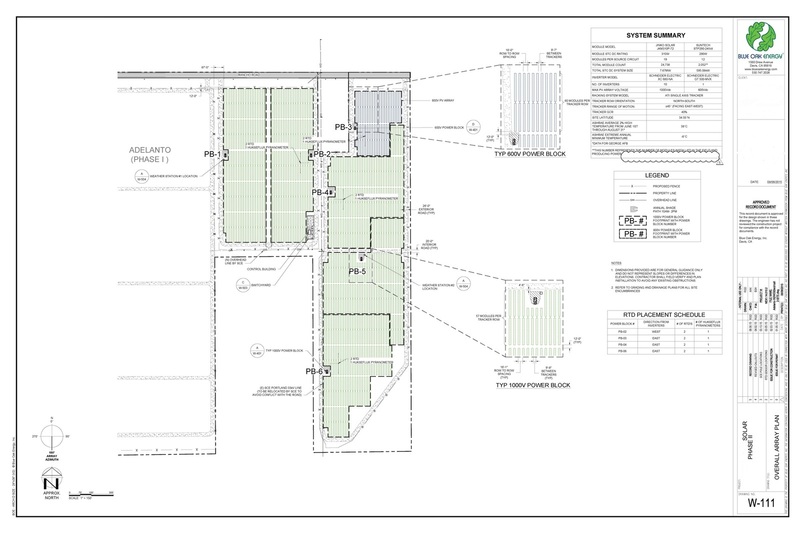 Blue Oak acted as the full service civil, structural and electrical engineer for the project which is spread across 2 distinct parcels of property. We worked closely with the installing contractor and the utility to meet some stringent interconnection requirements. Blue Oak was engaged to design and construct this solar facility on a tight schedule. 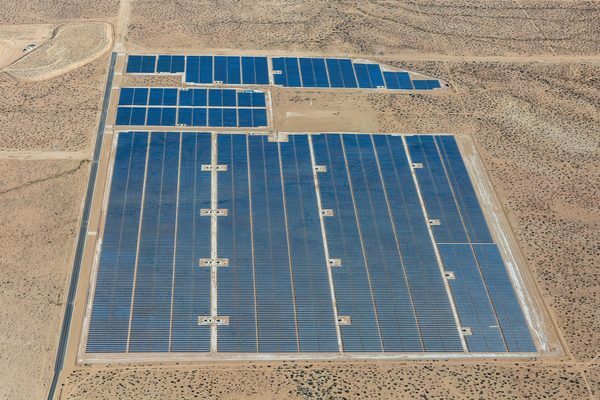 We engineered the full project, obtained construction permits, and coordinated two separate interconnections with the utility company. 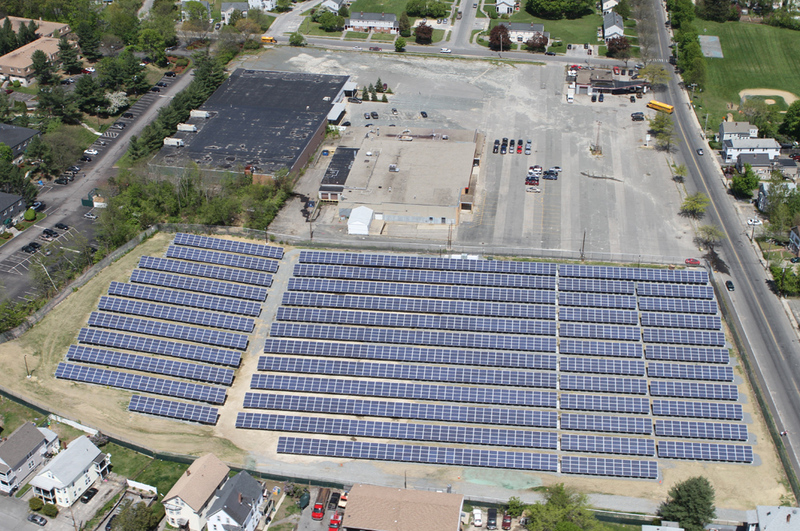 The local distribution grid had some special needs and therefore we worked with the utility company to provide special inverter system ramp-rates and reactive power controls. 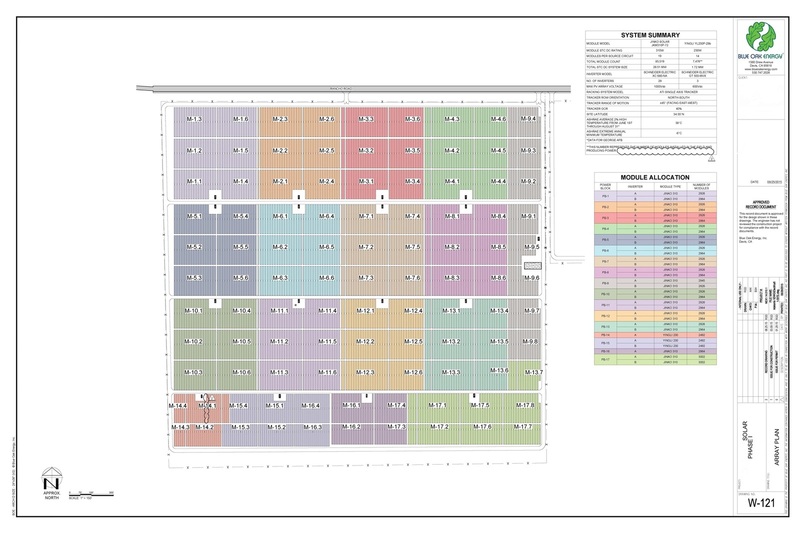 This single axis tracker system was designed to eliminate any grading at the site and therefore has minimal impact on this unique site's location. 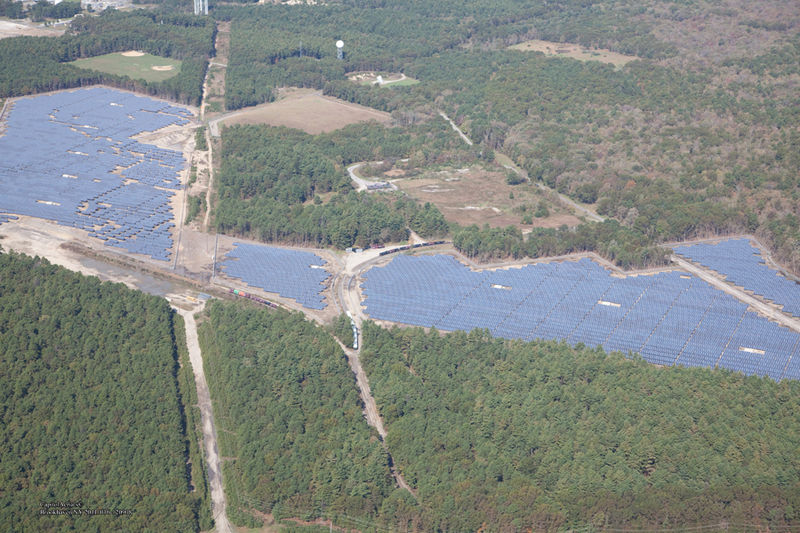 Blue Oak continues to operate and maintain this solar facility under a long term maintenance contract. This is a utility scale Solar PV project located just north of Las Vegas. 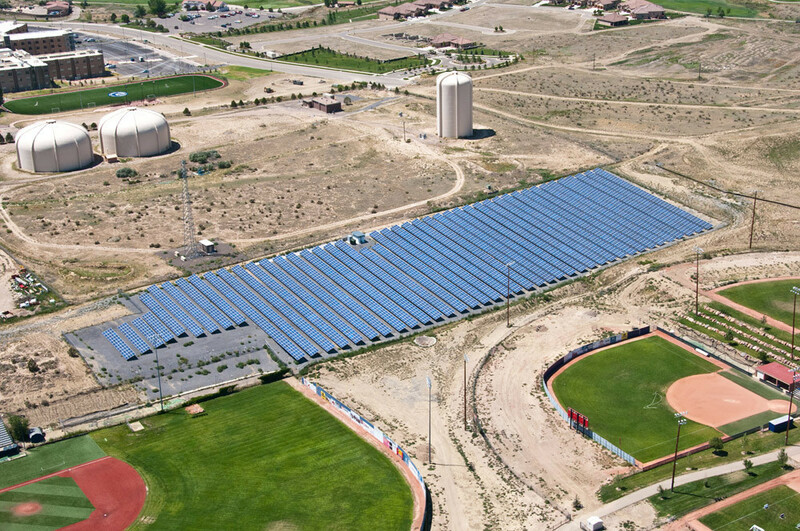 Blue Oak Energy completed the Electrical and Structural Engineering, as well as on-site value engineering services. The site is positioned in a large watershed received by a nearby mountain range. 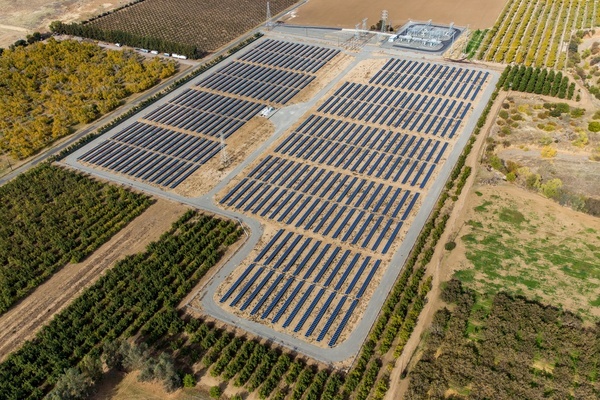 The continuity between Blue Oak Energy's electrical and civil engineering design coordination and stormwater planning was critical early-on for the project's ultimate success. The preliminary engineering for this project started in 2012 and was completed in 2013. The Gridley Solar Farm was designed and constructed by Blue Oak Energy in 2012. 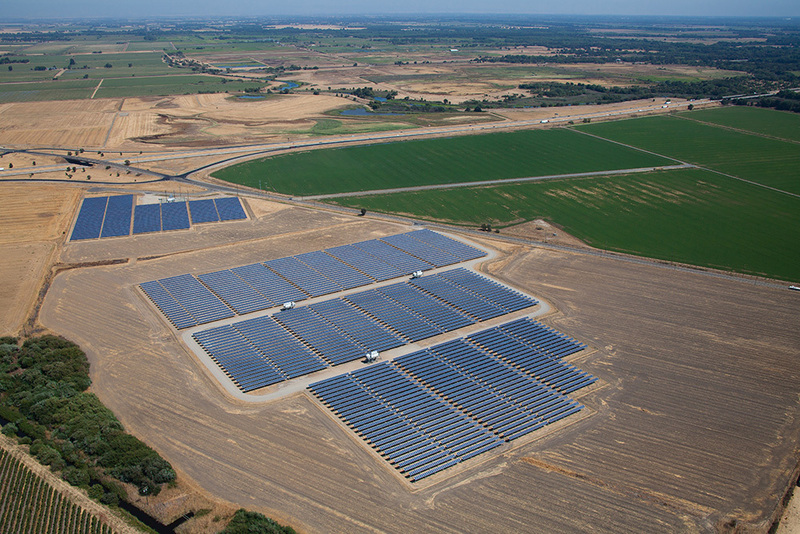 The electricity generated by the 25 acre Gridley solar facility is directed to the City of Gridley and the Bay Area Rapid Transit (BART). Engineering and permitting was accomplished in nearly 8 weeks and construction was completed in approximately 18 weeks. The Putah Creek Solar Farm is a distributed generation solar facility which was engineered and constructed by Blue Oak in 2014. This is one of the first Electric-Renewable Market Adjusting Tariff (E-REMAT) program solar facilities to be installed on the California Independent System Operator (CAISO) controlled electrical grid. 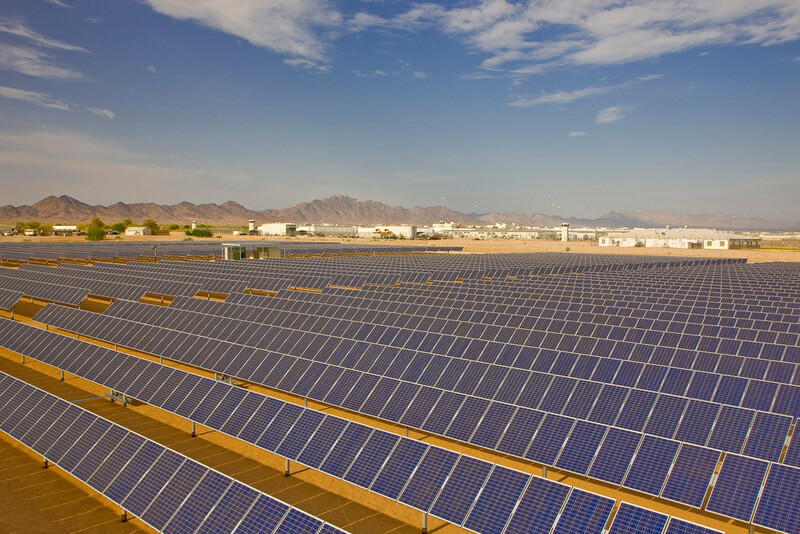 We co-developed the project and proposed the ideal solutions to fully permit and construct this solar farm while also maximizing the project's financial returns. 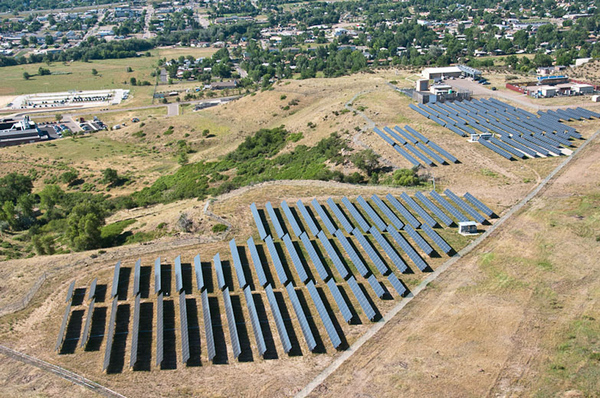 The US Department of Energy commissioned this single-axis tracker array for use at National Renewable Energy Laboratory. 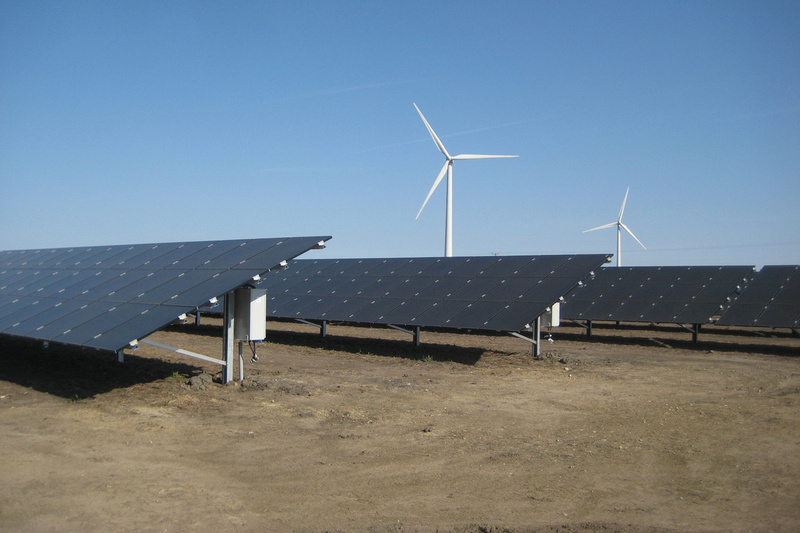 This was part of the Transformation Energy Action Management (TEAM) initiative for on-site renewable electricity generation. 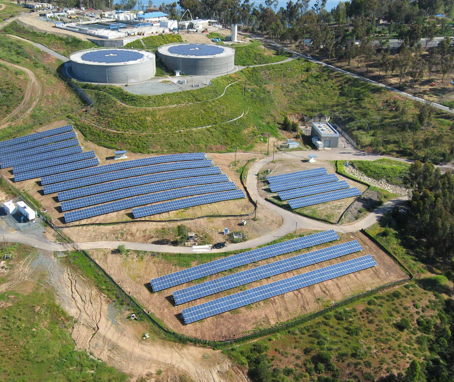 This unique facility for the City of San Diego includes a ground-mounted array as well as arrays built upon two storage tanks. This deployment for the City of San Diego is part of the city's plan to deploy 5MW of solar capacity. At time of completion this facility offset 90% of the District's power needs. Engineering challenges included sensitive wetlands area, as well as developing a foundation solution for the 2-acres of bay mud. 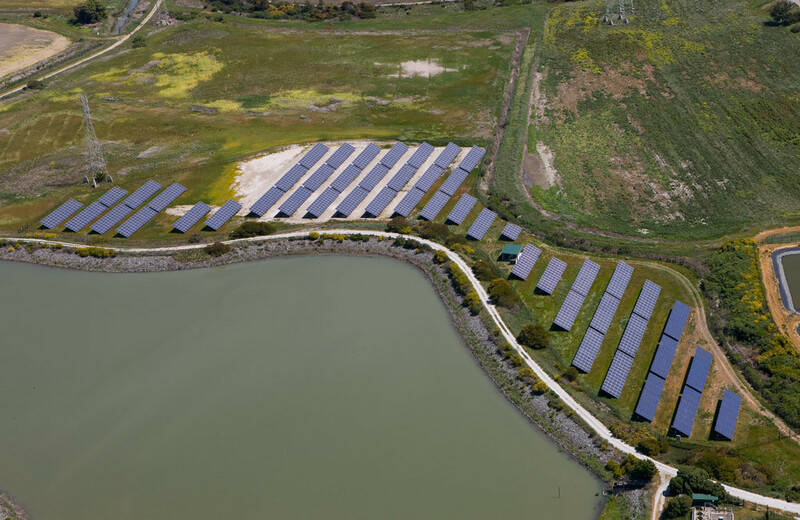 The aging electrical infrastructure at this site provided some interesting challenges for the Port of Oakland's first photovoltaic system. However, with the help of the Port's dedicated facilities team, the project was successfully completed. This solar energy project reduced the Federal Government Service Administration's energy consumption by more than 1600 MWh per year; this is equivalent to powering 145 homes in Colorado. 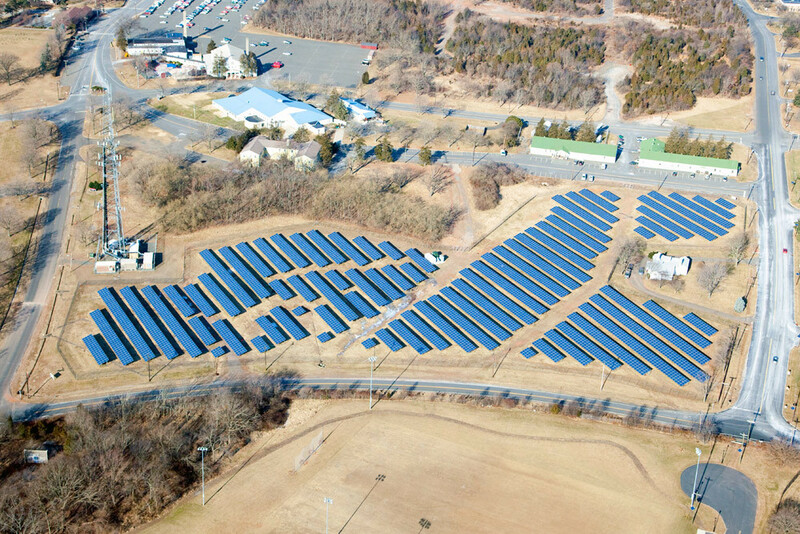 At commissioning, this solar facility supplied 80% of the college's energy needs. A new ballasted racking system, along with ideal site conditions, facilitated the completion of the project in record time. Engineering plans for this project were completed in only two weeks. Close coordination by a cross-disciplinary team of geotechnical, structural, civil and electrical professionals enabled us to provide a solution for this complex site. This is the largest solar energy system to be installed on a college campus to date. 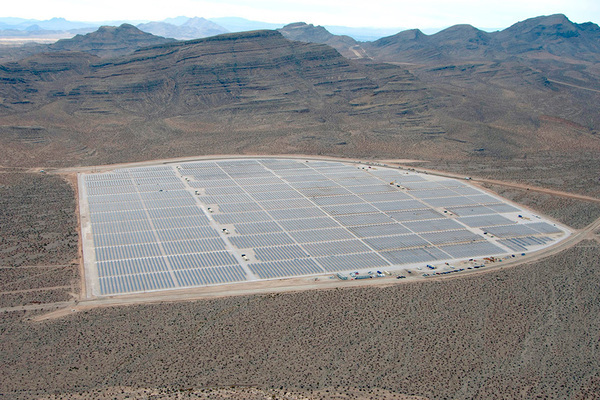 The array was designed to accommodate the existing uneven topography of the site without having to perform extensive grading. 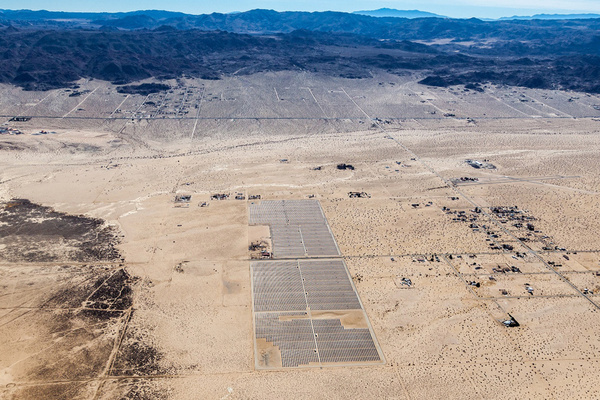 These two projects were part of the California Department of General Services distributed generation initiative. These solar arrays are separated by some distance, but connect into the same electrical distribution feeder. This single-axis tracking system provides a 12% increase in production over traditional fixed-rack systems, covering 23% of the Mariani plant’s entire electrical needs.